My first (of many) winery visits on my Barossa trip was to Yalumba, Australia's oldest family-run winery, with a history stretching back to 1849. Despite being an older winery with a long history, Yalumba is very switched on when it comes to social media. They have a great website, Facebook page and Twitter. In fact, the day before my visit, I'd gotten a Twitter @ message from Steve Lindner, Yalumba Wine Wine Room and Events Manager, to say hi! The lovely Steve was our host for the day, and was a great source of information and knowledge. I must say, with all of Yalumba at his fingertips, I'm very jealous of his job! Our first stop was Yalumba nursery. The nursery grows and grafts vines, bringing new varieties into Australia, and selecting/evaluating rootstock and clones. 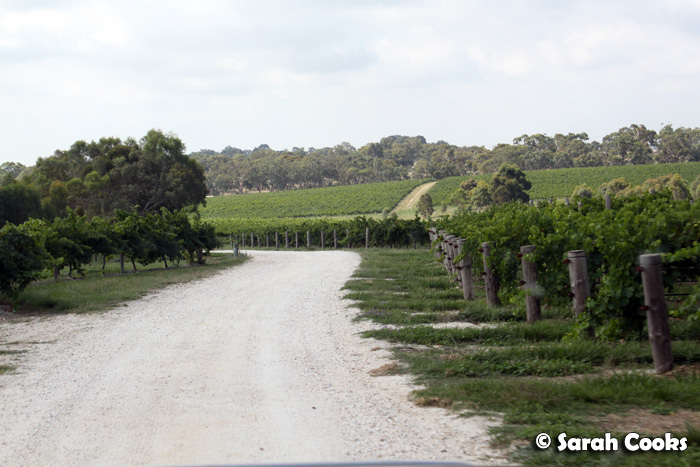 They supply their vines to a number of wineries across the country (note just Yalumba). It was fascinating to see the grafting process! This is how it starts. 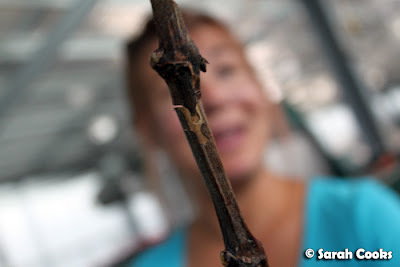 2 sticks, literally spliced together. It's amazing to think that two seemingly dry and lifeless twigs could become a vine, but indeed they do! 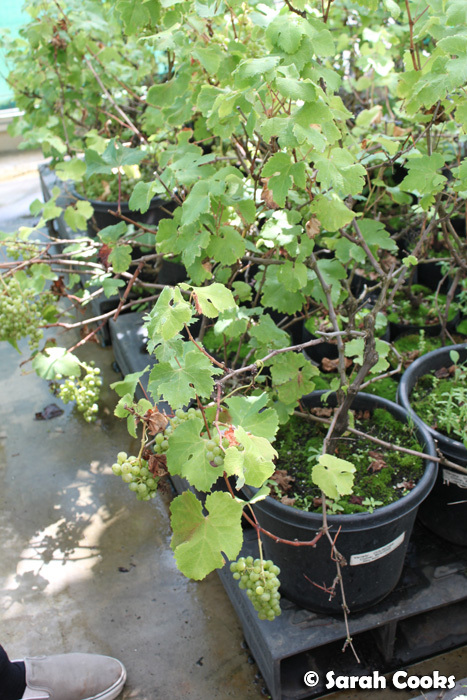 ... and then become vines themselves! These are then sold on to other wineries and yineyards. 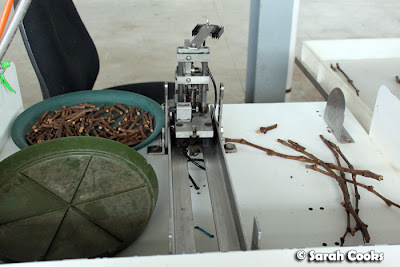 I've only given the briefest of brief description of the process, and indeed, I wouldn't be able to do it justice here on my blog. 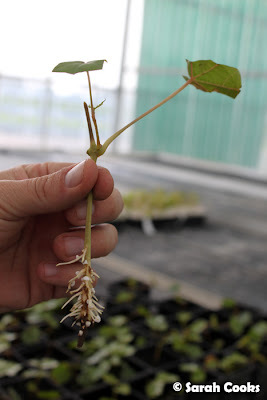 There is so much thought and science that goes into the process, from selecting the varieties, importing the rootstock, through to the grafting and growing. 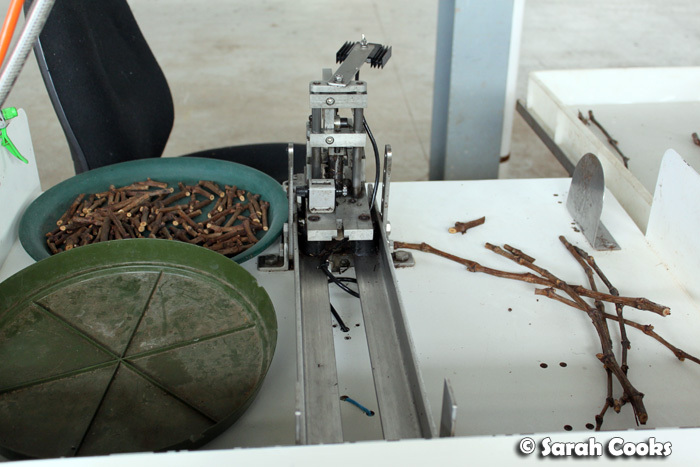 If you're interested in the nitty gritty details, I'd say your first stop should be their website! Next on the agenda was Heggie's Vineyard. 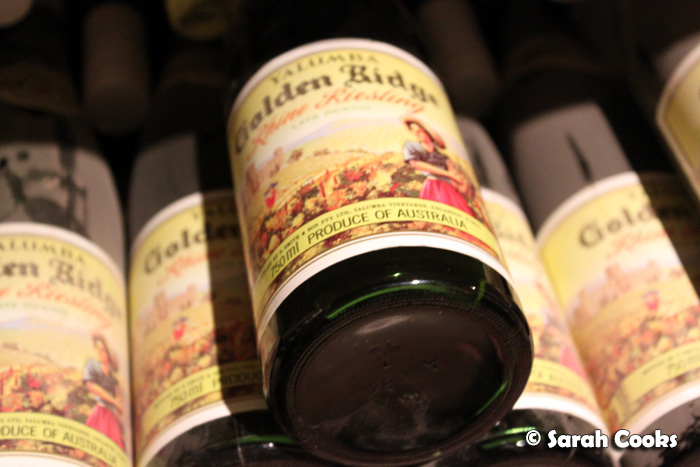 Heggie's doesn't come under the Yalumba label itself, but is owned by Yalumba. 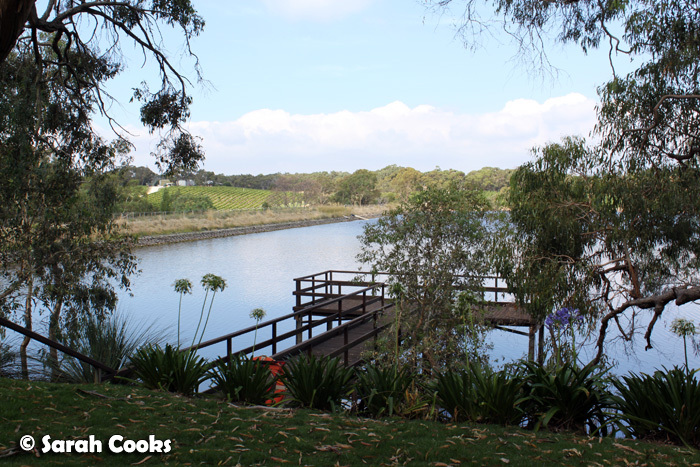 It is such a gorgeous spot, situated in the cool-climate Eden Valley. 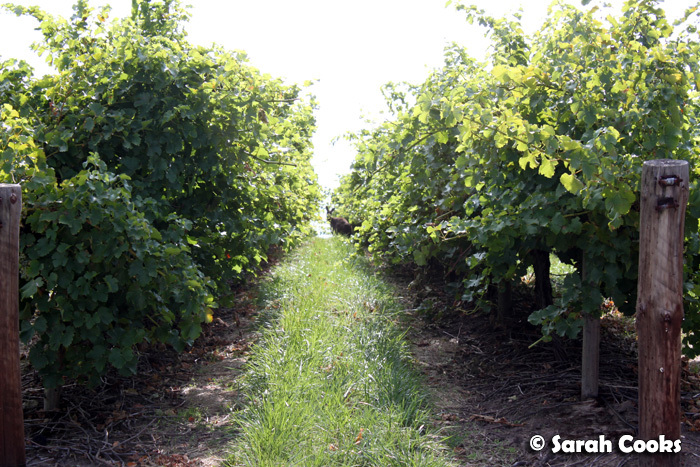 Steve told us that kangaroos are often found among the vines, and rather than being a pest, are actually welcome! (Among the older vines, at least). 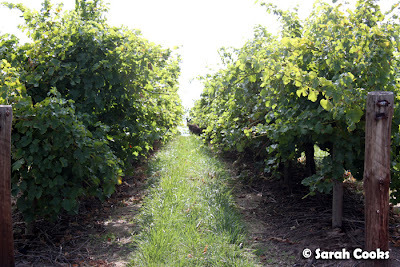 They "prune" the vines by eating the leaves and let more light through. I was so excited to see a kangaroo in real life - I am such a city-slicker. Steve then drove us to a picturesque little spot, overlooking the water, for a tasting. How gorgeous is this door? Very Secret Garden. Apparently there's a kitchen inside, and they can hold functions out here on the grass. 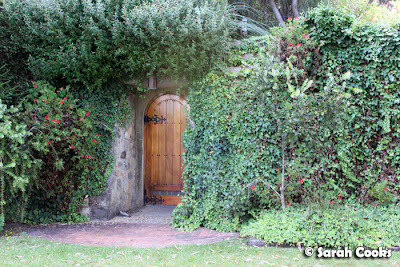 Imagine having a small wedding or engagement party here - beautiful! 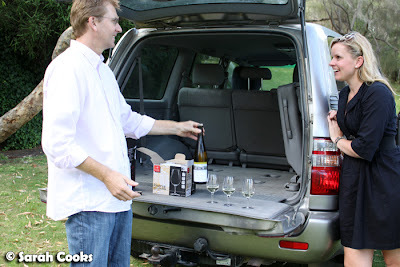 We then had a little tasting, right from the back of Steve's car! I love this photo of Steve and Jaci... looks like it came straight from a SA tourism ad. We tried a 2006 Yalumba Vine Vale Grenache, a Pewsey Vale Prima Riesling, and a 2007 Heggies Reserve Chardonnay. I'm no wine expert (although I definitely learnt a thing or two on my Barossa trip! ), so I've linked the tasting notes to each of those wines. My favourite out of the three was definitely the Heggies Reserve Chardonnay - it had an incredibly buttery taste, which to me screamed out "popcorn". Delicious! Through much wine tasting, I've realised that I prefer white wines that display stronger secondary characteristics - butter, oak etc. - rather than the brighter, fruitier wines. 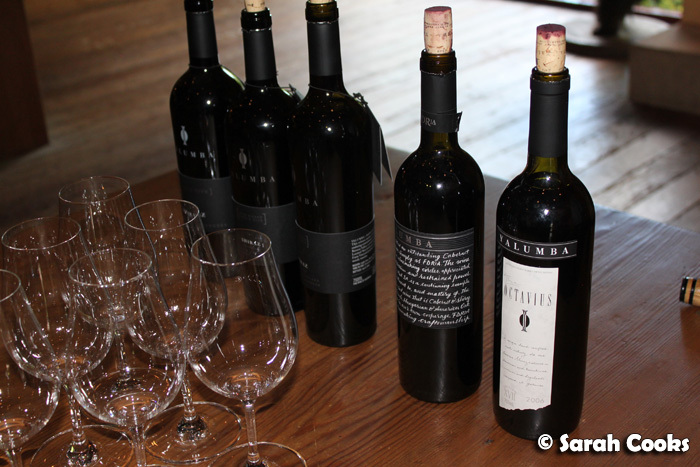 We then went to the Yalumba cellar door, for yet more tasting (! ), and a tour around the cellars. 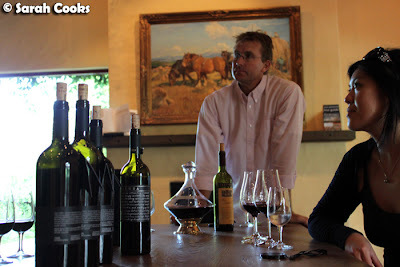 We tried a number of reds, including the premium Octavius, and a side-by-side tasting of different single-site Shiraz. Pippa, PR & Social Media manager from Yalumba joined us for the tasting, and then showed us around the cellars. Apparently some of Oprah's viewers came down here as part of Oprah's Aussie Adventure too! 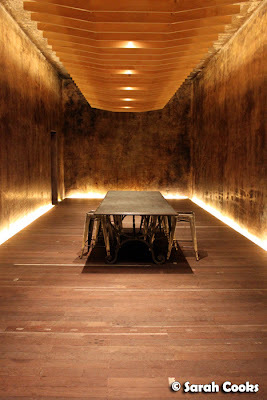 I love how dramatic this room is. Looks like it could be a scene from Blade, hehe. 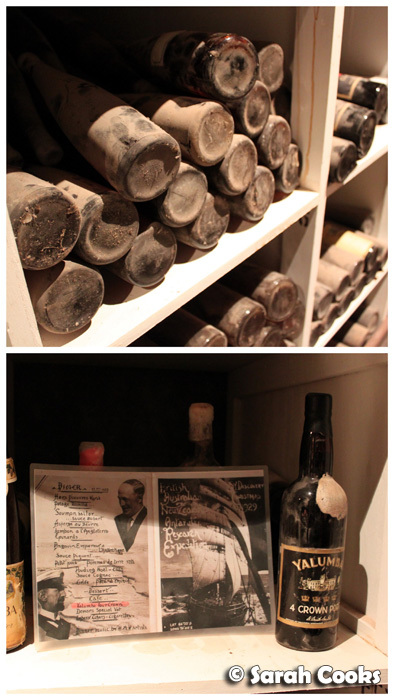 They have an incredible collection of wines in the cellar, some that are over 100 years old! A big thanks to Steve and Pippa from Yalumba for a fun and fascinating afternoon! 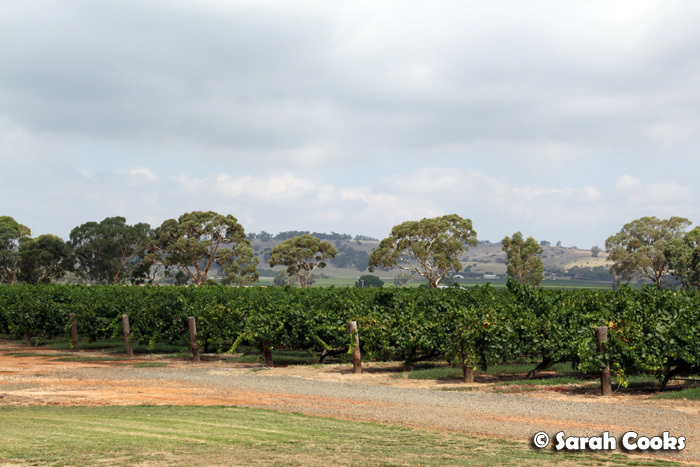 Sarah visited the Yalumba Nursery, Heggies Vineyard and Yalumba Winery as a guest of Tourism Barossa, as part of the prize for winning the Barossa's Table competition. Can't believe Yalumba dates back to the 1800's. Amazing. 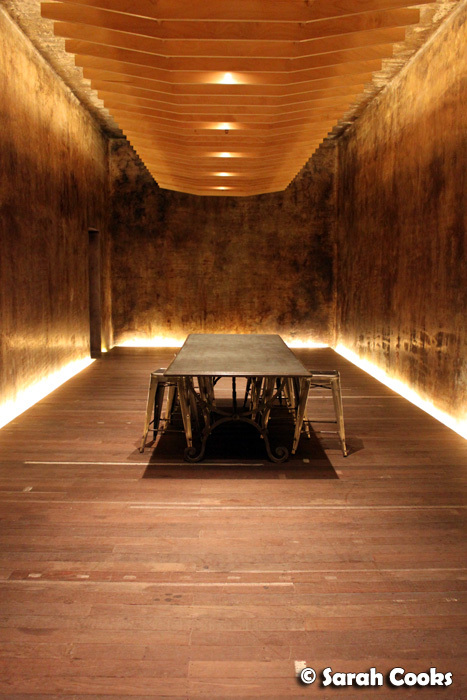 how awesome would it be to have a cellar like that!